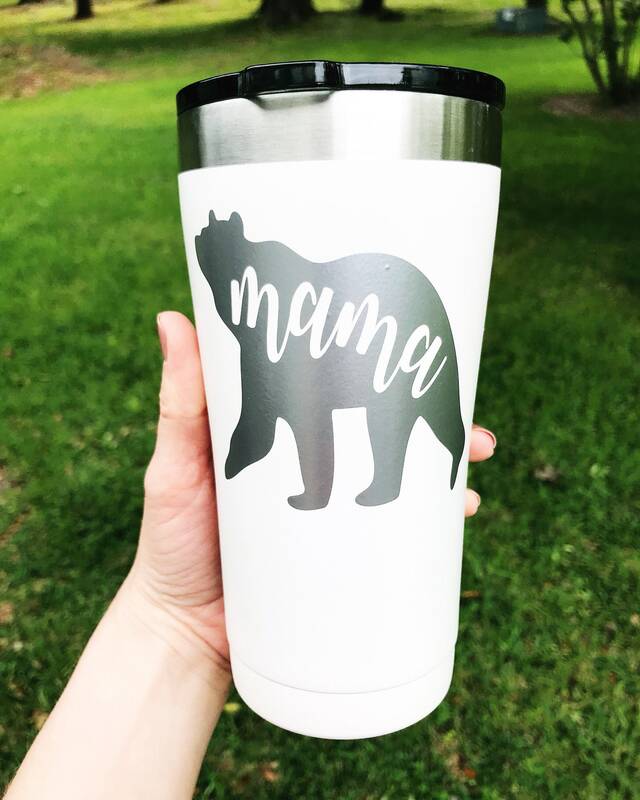 20oz stainless steel white tumbler, showcasing the mama bear in silver permanent vinyl. 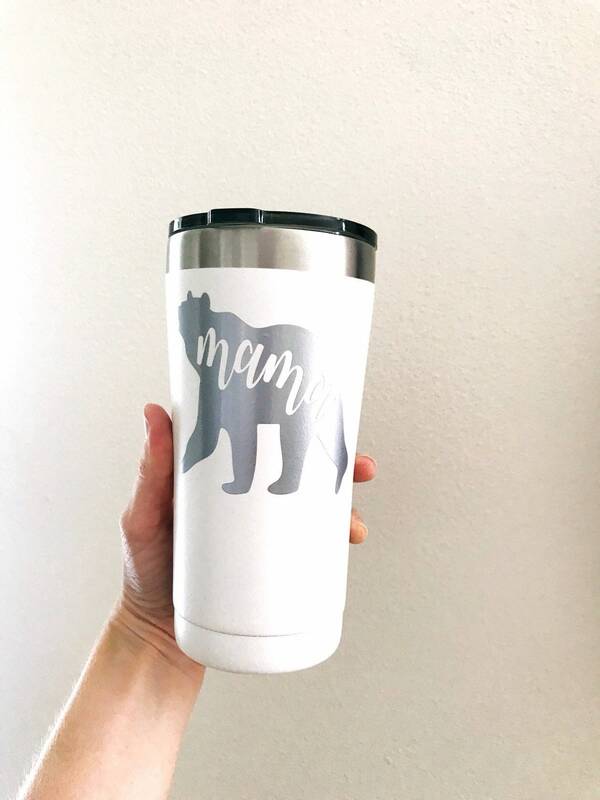 Perfect for a seasoned mom or for a new mom. Keeping drinks cold or warm, depending on your beverage.